Destination bachelorette parties are the all the rage with future bride-to-be’s and at that the top of the list is a weekend getaway to have some fun in the sun. 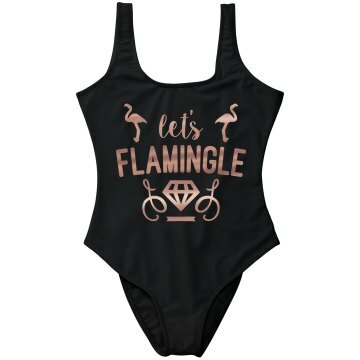 If you’re planning a beach bachelorette party, chances are you’re going to need something for your crew to wear on the beach or lounging around poolside at the hotel. Most bridal parties incorporate tanks or tees but why not step up your game with bachelorette party swimsuits! At Bridal Party Tees we do our best to offer our customers the trendiest swimwear online. Right now the Leonetti Swimwear one piece swimsuit is the perfect option for those who want to fashionably cover up while sunbathing. With three different colors to choose from, it has a flattering cut and fit with a low back to show the right amount of skin. You’ll look so fabulously hot without even breaking a sweat. Maybe a one piece isn’t your style. We have two other bathing suit styles from Leonetti you to choose from: a nylon tricot bikini or a matching halter top and bottom. You can start by choosing a design from our gallery and customizing the art and text. Every design in our galley has the capability to be customized. You can make your design as simple or as unique as you want. You can even combine the two styles together! Customize the Omni bottoms for more coverage and the American Apparel bikini top for less tan lines or vice versa. The option is completely up to you as the designer. 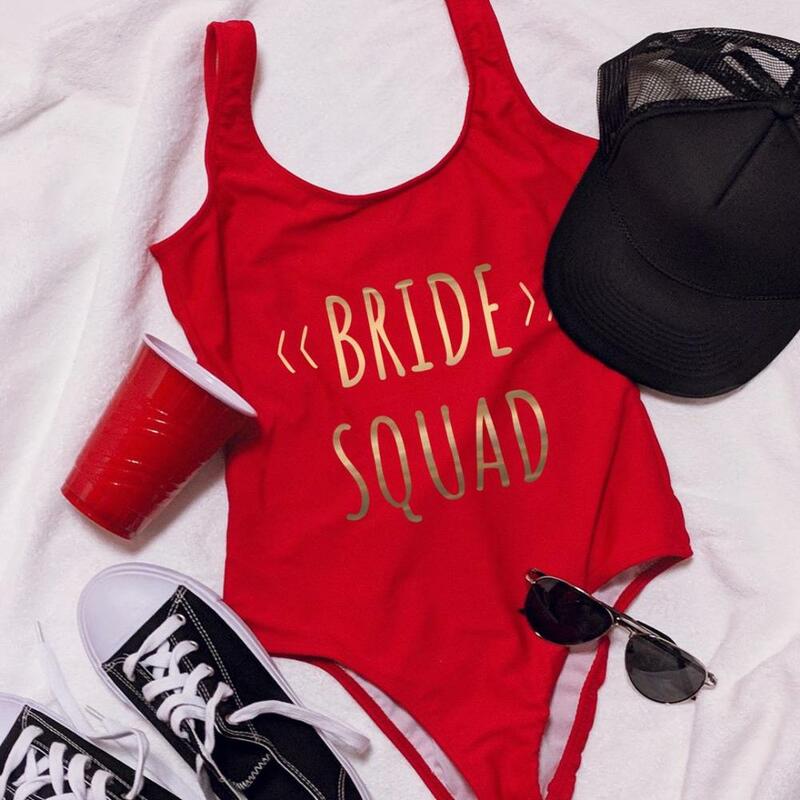 Bridal Party Tees provides custom bachelorette party swimsuits all year long so it doesn’t matter if it’s summer or in the middle of the winter. 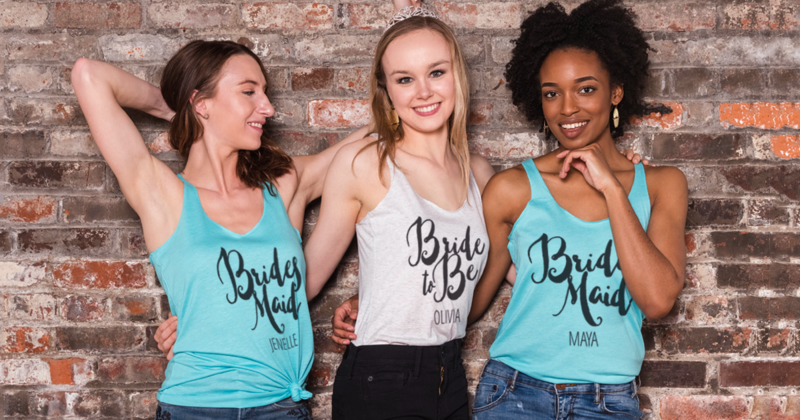 Bridal Party Tees has made it even easier for our bride-be’s with our no minimums and incredible group discount you can design as many or as little swimsuits as you want! Cinco de Mayo is around the corner and it’s a great opportunity to kick back and have an incredible time with your feisty senoritas. A lot of bride-to-be’s take advantage of holidays to incorporate their upcoming nuptials and will do their best to have everything planned from the color scheme to matching custom shirts. It’s so easy to turn this fun day into the ultimate fiesta that’s what these senoritas did with their custom Hasta La Vista Single Life shirts! Nacho average bride? Adios bitchachos? 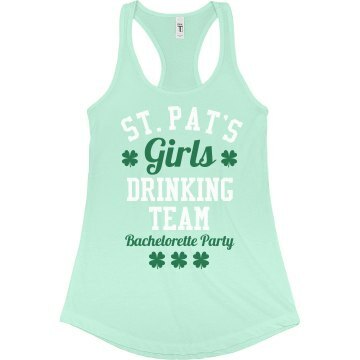 Bridal Party Tee’s wants to help you celebrate and make your fiesta even more memorable with Cinco de Mayo bachelorette party shirts! We offer the best selection of custom bridal apparel on the internet and our Cinco de Mayo designs are by far the best you’ll ever find. These hilarious and catchy Cinco de Mayo sayings are sure to get you some attention on your last night out as a single lady. The best part about our designs is that they can be customized so you can easily include names, dates, and locations to make your night one you’ll never forget! What is your favorite Cinco de Mayo saying or slogan? Share your thoughts and pictures with us via Facebook, Twitter, or Instagram @bridalpartytees!